Signs play a huge part in the marketing industry. It alerts potential customers to a business’s existence and helps to form an initial impression in the viewer’s minds. Taking this thought in mind, the Essex Printing & Sign Company is providing custom-made signs, to business owners and helps build their image and turn the company into a brand. We create signs that depend on the company’s personality by including colors and graphics. This will help in grabbing the attention of the targeted demographic. We happen to be the leading Sign Company Chelmsford and are well-known for our quality custom signs, which have given birth to the leading brands that are globally popular. When signs are custom made for a business, the client will probably know, where that signs needs to be located upon completion. Location is everything, and the customer wants to create a sign that should fit with the surroundings, whether looking to create storefront signs, monument signs, and illuminated signs. We are famous as the best Sign Company Chelmsford and that’s not without any reason. We help in designing, choosing the size and shape of business signs which is appropriate for the location and will be most likely to gain the audience’s attention quickly. We provide signs, which will help in creating a unique identity that separates our customer from the rest. We provide such custom-made signage to help our clients stand out, and the crowd will more likely take notice of our client’s business and check to see what our clients have in store. Targeted planning: There is no need for business owners to waste money on a signage, which will not offer any benefit. At the Essex Printing & Sign Enterprises, we have professional and skilled staff members, who are the best in creating, designing and making professional looking custom-made signs. Use of state-of-the-art technology: We use the latest technology and graphics to create signage that will please the eyes of our customers. We are well informed about what size will work best and which shape will look good. We also take care of the installation procedures without an issue. 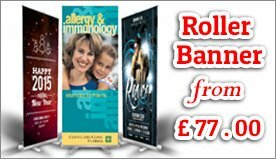 The Essex Printing & Signs Company have been creating, designing and making unique signs for big brands since many years. We carry a reputation in the printing industry for our hard work, creativity, honesty and friendly behavior. 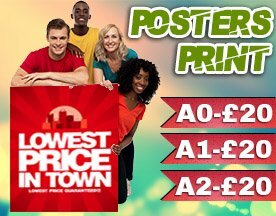 We are located in the beautiful city of Essex, England and offer signage designing services. We also have established branches in different cities of England, to help our clients in getting the best signage to represent their business.